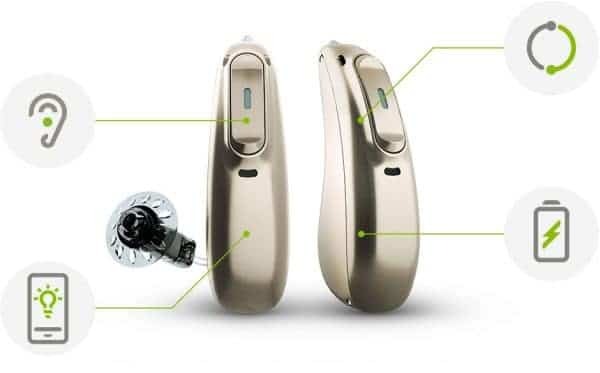 Phonak Audéo Marvel, a new generation hearing aid with direct Bluetooth connectivity that provides a clear, rich sound experience. Long gone are the days of cumbersome telephone and music streaming. Phonak Audéo Marvel can connect directly to either your iOS or Android smartphone or other Bluetooth enabled phones. With Phonak TV Connector, a simple plug and play solution you can enjoy your favorite TV programs and movies. Use Marvel hearing aids for hands-free calls and for listening to TV, music, e-books, podcasts and so much more. Always in top rated sound quality when streaming. 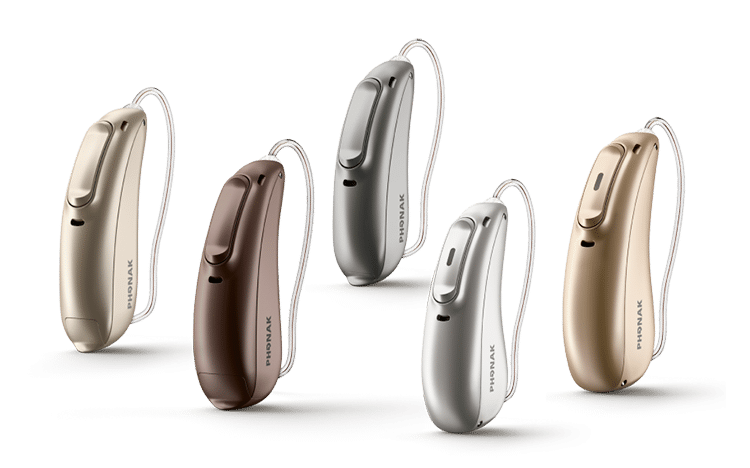 It’s just like using wireless headphones – except maybe even better, because Marvel hearing aids can distinguish between streamed speech and music signals, and automatically adjust to give you an optimized sound quality. Enjoy better speech understanding in noise, less listening effort and be amazed at just how well your hearing aids perform in your everyday life. Available in an updated rechargeable format, allowing for quick and easy charging. By using the myPhonak app you get access to the Hearing Diary and Remote support services so that your hearing care professional can customize your personal listening experience in real-time. 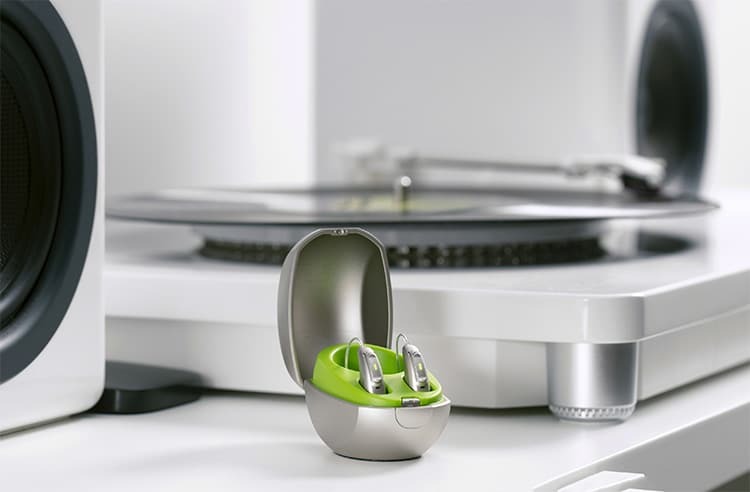 Learn more about the new Audeo Marvel on Phonak’s website. We use the latest technology, which means our hearing aids don´t just work effectively and look great, they also last for up to 5 years. We offer 3 years of FREE servicing. We´ll clean them, change the filters and carry out any other relevant maintenance which may be needed to make sure they’re working without any problems. We have a 30-day return policy. In the unlikely event you´re not 100% satisfied, we´ll refund you your money, minus the fee for custom-making the hearing aids for your fitting. We’ll give you on-going advice and support about changing batteries, any repairs, if needed, and possible upgrades, to ensure everything is going satisfactorily for you. And should you find the same hearing aid at any other authorized dispenser here in Ontario, we’ll match their price. Don’t wait any longer. Contact us today to find out how we can help you overcome your hearing loss and have a better quality of life.